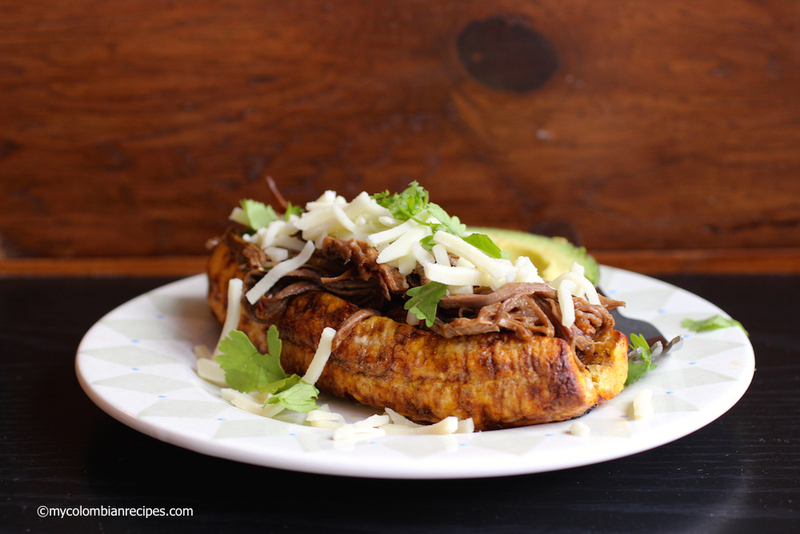 Plantains are a very important ingredient in Colombian and Latin American cuisine. They can be eaten both ripe and unripe and cooked in a number of different ways. I love plantains in every form, but one of my favorite ways to eat plantains, particularly the yellow or ripe ones, is stuffed with varioust ingredients. This time I filled them with shredded beef (carne desmechada), topped with cheese. These Plátanos Rellenos de Carne Desmechada are salty and sweet and have a wonderfully pleasing texture. The combination of flavors is absolutely amazing. 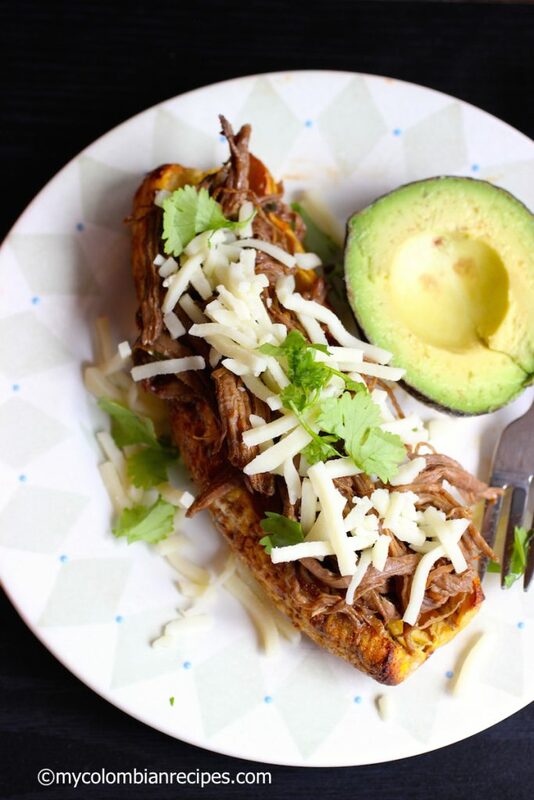 To make this dish easier, cook the shredded beef, or carne desmechada, the day before, then bake the plantains just before serving. 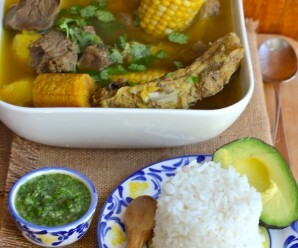 You can serve it with ají or guacamole if you like. 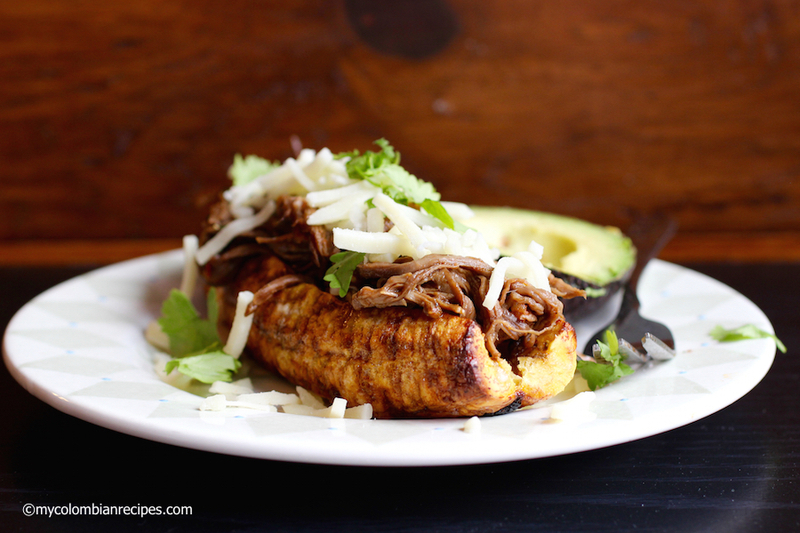 If you love plantains, then this is a dish for you. 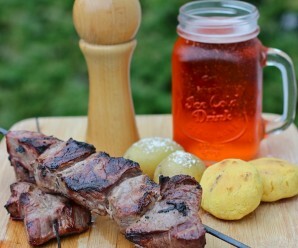 It’s perfect for breakfast, lunch accompanied by a side salad, or dinner as a main course or side dish. 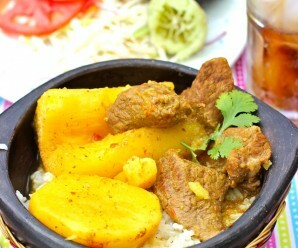 Did I fail to mention that this Plátanos Rellenos de Carne Desmechada recipe is also extremly versatile? Pre-heat the oven to 400 F. Made a horizontal slit on the middle of each plantain. Place them on a baking sheet and rub them with the butter or oil. Bake the plantains for about 30 minutes, then turn each one and bake for another 10 minutes or until golden on both sides. 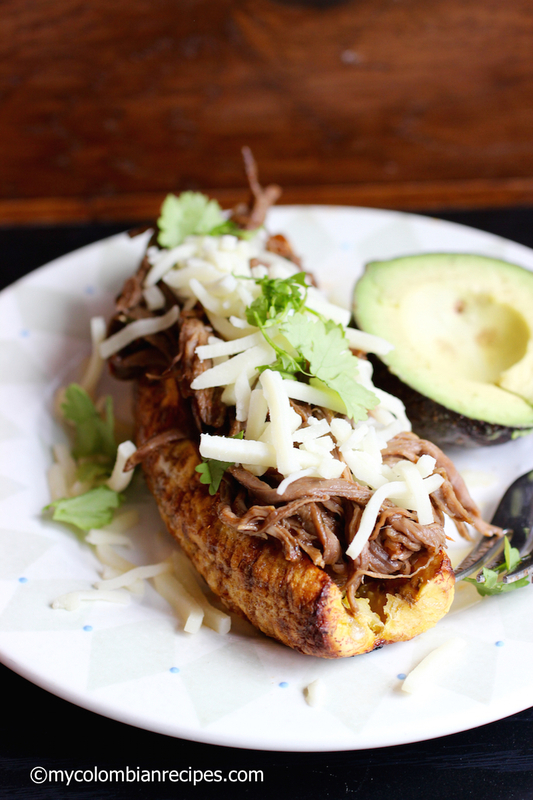 Remove the plantains from the oven and stuff with shredded beef and top with cheese and chopped cilantro. Serve warm. 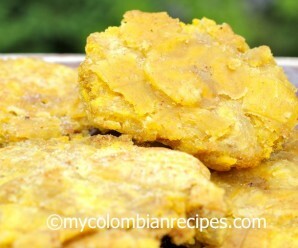 Is there a specific place in Colombia that this comes from? This looks delicious. Can you substite chicken for the beef?